There are many. 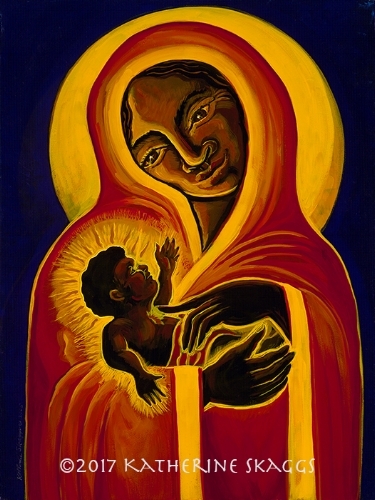 Just image google 'Black Madonna paintings' and you'll find dozens. Of course they are not yet liturgically "Black", i.e. they haven't received that title from the Catholic Church due to their miraculous powers or origins or great popularity among the faithful. Nonetheless they can be inspiring and beautiful, and they can be purchased on the web! Sometimes I feel bad that our passion for Black Madonnas has resulted in the theft of quite a few of them, but when I look at this little collection I am heartened by the fact that for every Dark Mother that was stolen ten more were created. Here are some of my favorites.